Award-winning publisher BOOM! 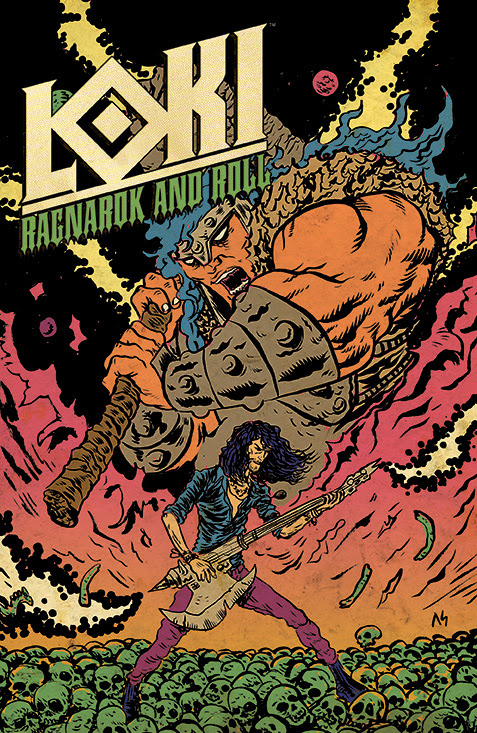 Studios is pleased to announce the February debut of LOKI: RAGNAROK AND ROLL, a heavy metal twist on Norse mythology. 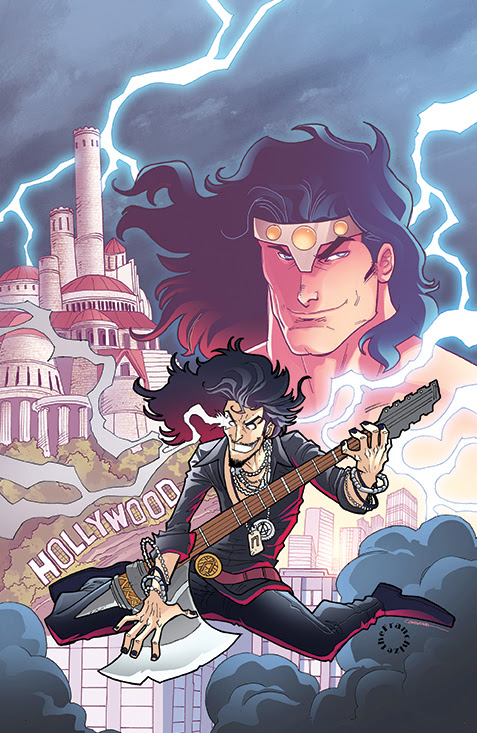 Writer Eric Esquivel (FREELANCERS) and artist Jerry Gaylord (FANBOYS VS. ZOMBIES) show what happens when you take the classic Norse god Loki and throw him into a rock and roll band in the underground goth clubs of Los Angeles in this new BOOM! original series. WHY WE LOVE IT: Up-and-coming writer Eric Esquivel first caught our attention with Thor: The Unkillable Thunder Christ, and wowed us with his work on FREELANCERS. When he told us he wanted to bring those sensibilities to the trickster god Loki, we had to say, “Yes!” Pairing him with FANBOYS VS. ZOMBIES artist Jerry Gaylord sealed the deal. WHY YOU’LL LOVE IT: Loki steps out of the shadow cast by his thunderous brother as Norse mythology crosses over with the only thing on Earth as wild and crazy—rock and roll! WHAT IT’S ABOUT: What happens when Odin banishes Loki to Earth? He finds a world of outcasts that appreciate his style! While his kin sharpen their weapons, he picks up an electric guitar. LOKI: RAGNAROK AND ROLL #1 arrives in comic shops on February 19th with a cover price of $3.99 under Diamond order code DEC130966. Not sure where to find your nearest comic retailer? Use comicshoplocator.com or findacomicshop.com to find one! It’s also available for order directly from boom-studios.com.